Thanks to artist Nina Matsumoto' Dragon Ball X Seinfeld piece, now I can totally imagine Dragon Ball Elaine kicking everyone through walls and yelling "Get Out! 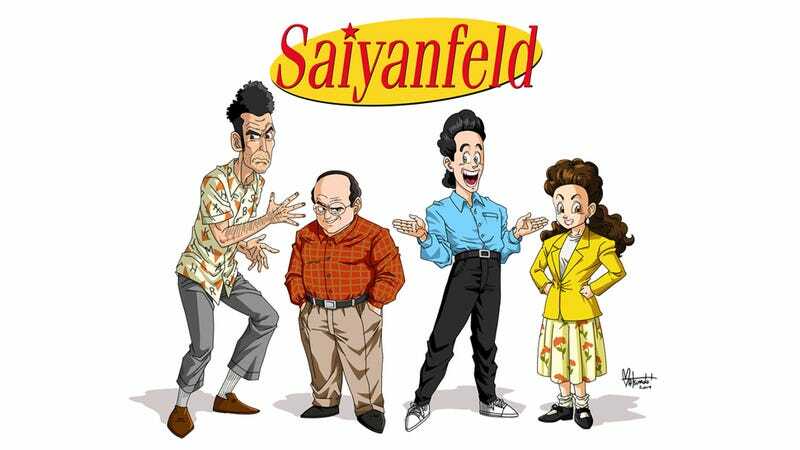 ", right before Kramer goes Super Saiyan. George would also be a perfect Krillin, they are both really bad at winning. I'd love to see an animated version of this.